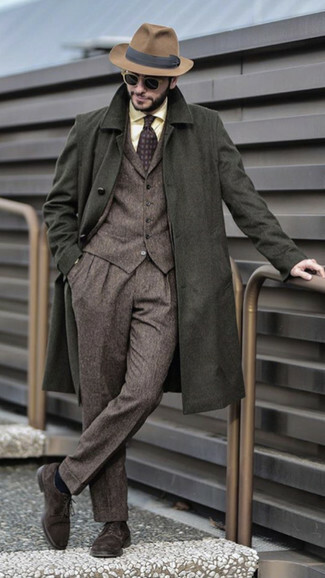 This pairing of an olive overcoat and Alexander McQueen black socks is uber versatile and provides a casually dapper look. 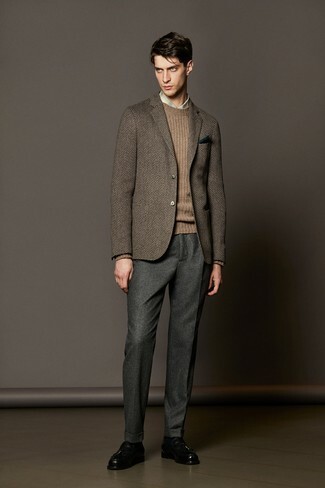 A pair of dark brown suede derby shoes will take this look down a classier path. 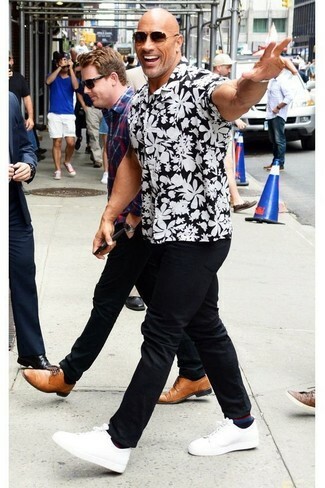 This off-duty pairing of a black and white floral short sleeve shirt and black socks is ideal when you need to look stylish in a flash. To bring a little depth to this ensemble, complete your look with a pair of white leather low top sneakers. This is hard proof that a grey plaid three piece suit and black socks are amazing when married together in a casual outfit. 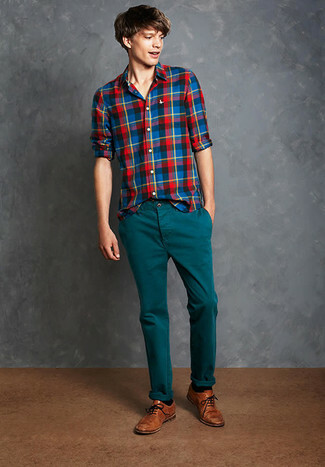 For a smarter aesthetic, why not complement this ensemble with a pair of tan leather brogues? 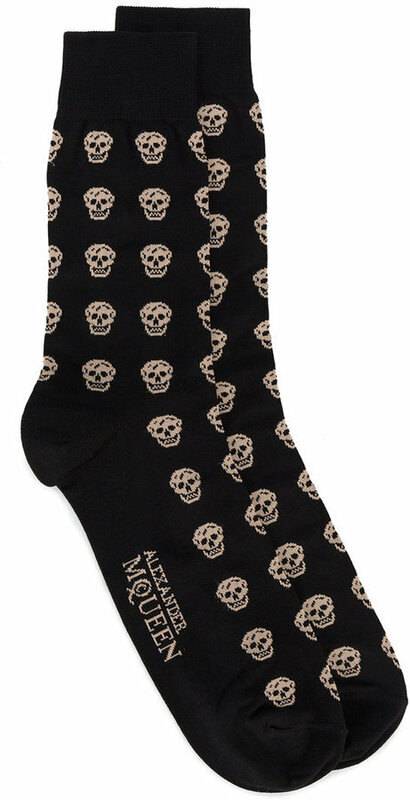 Combining a black overcoat with Alexander McQueen Short Skull Socks is a nice choice for a laid-back outfit. You can get a little creative with shoes and dress down this outfit by slipping into beige athletic shoes. 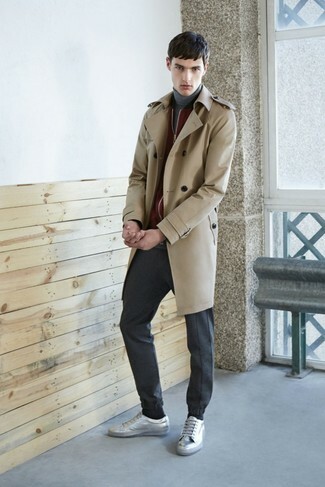 A tan trenchcoat and Alexander McQueen Short Skull Socks are a city casual combination that every fashion-forward man should have in his wardrobe. 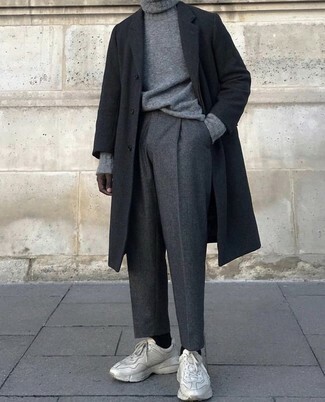 Throw in a pair of silver low top sneakers and the whole outfit will come together. If you like casual style, why not take this combo of a black double breasted blazer and black socks for a spin? Put a different spin on an otherwise too-common ensemble by rocking black leather double monks. 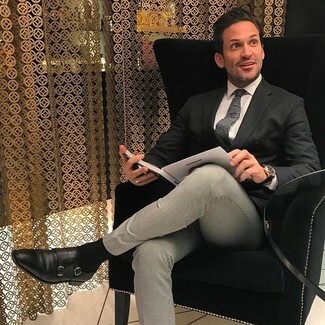 This relaxed casual combo of a multi colored plaid long sleeve shirt and Alexander McQueen black socks is a fail-safe option when you need to look good but have no time to dress up. 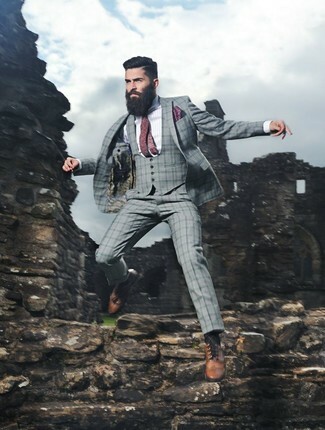 For something more on the classier end to finish this ensemble, add brown leather brogues to the mix. A brown herringbone wool blazer and Alexander McQueen Short Skull Socks from farfetch.com are a great getup that will carry you throughout the day and into the night. Amp up the formality of your outfit a bit by finishing off with a pair of black leather tassel loafers. 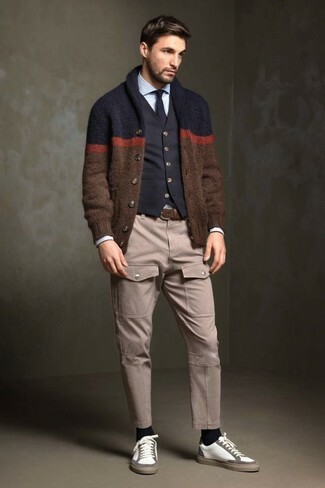 A brown shawl cardigan and black socks are great menswear items to add to your day-to-day off-duty repertoire. Clueless about how to round off this look? Rock a pair of white leather low top sneakers to dial up the fashion factor.